To make a salve, first craft your herbal-infused oil(s). This will take several weeks, but once finished, the rest of the salve making process will only take minutes! You can also purchase infused herbal oils if you're short on time or wish to skip the process of infusing the oil yourself. We recommend using only dried herbs in your infusions, as the lack of moisture content in the plant material can keep spoilage at bay. Solar Method: When making herbal-infused oils, we prefer the solar infusion method. Place dried botanicals into a dry and sterilized glass jar. Some herbalists coarsely crush or grind herbs first, while others finely chop herbs but leave the delicate flowers whole. Cover with organic Olive Oil (or other carrier oil of choice that is shelf stable) pre-mixed with vitamin E oil to prolong shelf-life (500 IUs for every 8 oz. carrier oil). Cap the jar tightly and place in a sunny, warm window. If desired, the jar can be covered with a bag or box so that the oil isn't exposed to direct sunlight. Shake the jar once or twice per day, or as often as you remember. If the herbs absorb the oil, then add more oil so that the herbs are always submerged. Allow to infuse for 2-3 weeks, or until the oil takes on the color and aroma of the herb within. Once the oil is ready, strain using cheesecloth, and bottle into dry and sterilized amber glass bottles for storage. Make sure to squeeze as much oil as possible from the herbs so that you don't waste any precious liquid! Herbal oils will keep for about a year if stored properly in a cool, dark place. 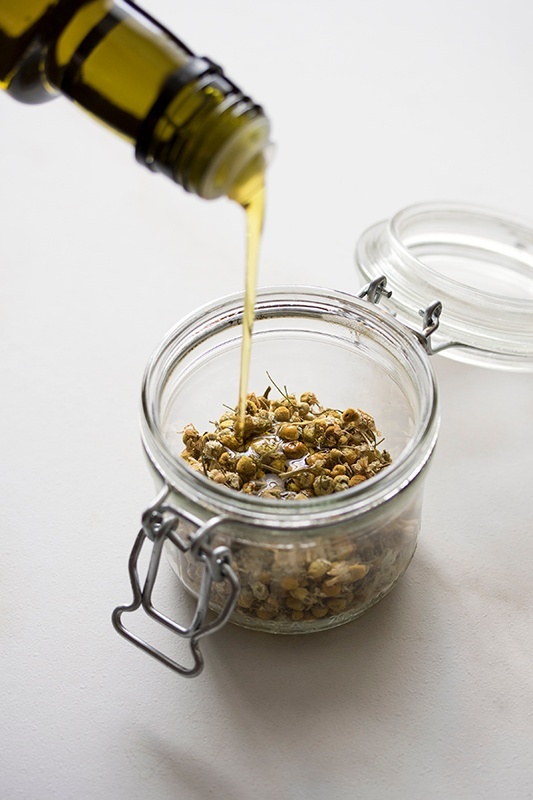 Quick Method: Another way to infuse oils, which is sometimes necessary when herbal oils need to be created in a pinch, is the quick method utilizing heat. Much care needs to be taken when creating herbal oils this way because you don't want to deep-fry your herbs! Place herbs in crock-pot, double boiler, or electric yogurt maker, and cover with organic Olive Oil (or other carrier oil of choice) pre-mixed with vitamin E oil to prolong shelf-life (500 IUs for each 8 oz. carrier oil). 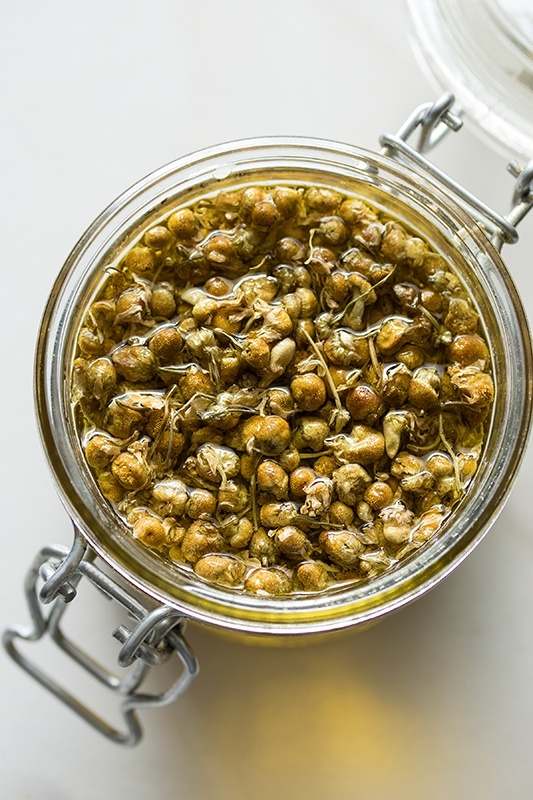 Gently heat the herbs over very low heat (between 100 to 140 degrees Fahrenheit) for 1-5 hours until the oil takes on the color and scent of the herb. Some herbalists recommend heating the oil 48-72 hours at a controlled temperature of 100 degrees Fahrenheit. Turn off heat and allow to cool. Once the oil is ready, strain using cheesecloth, and bottle into dry and sterilized amber glass bottles for storage. Store in a cool, dark place. • 10-20 drops essential oil of choice (optional). 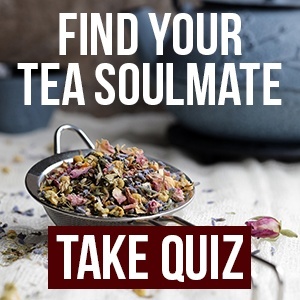 Some essential oils commonly used are lavender and tea tree. Place herbal oils and beeswax over a double boiler, and gently warm over low heat until the beeswax melts. Remove from heat and add the essential oil(s). Quickly pour into prepared tins or glass jars and allow to cool completely. Salves should be stored in a cool location where they will remain semi-solid and will not continually re-melt and re-solidify. If stored correctly, salves will last for 1-3 years. Yields 8 oz. Note: The consistency of salves can easily be adjusted depending on your preferences. 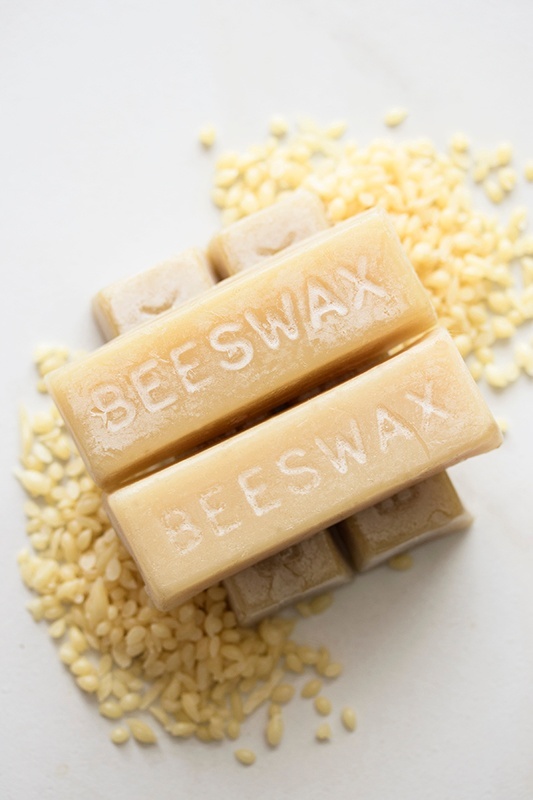 Use less beeswax for a softer salve and more beeswax if you’d like a firmer salve. You can test the consistency by placing a spoon in the freezer before making your salve. When the beeswax melts, pour a little salve onto one of the cold spoons and place it back into the freezer for 1-2 minutes. This will simulate what the final consistency will be like. Once cooled, you can make adjustments by adding more oil (for a softer salve) or more beeswax (for a firmer salve). Which herbs work best in a salve? You can make a salve with a single herb or multiple herbs, depending on your needs. It’s useful to make a variety of herbal-infused oils so that you can easily craft a salve whenever you need it! As a supplier of herbs, we're forbidden from providing information about the specific uses of herbs in remedies, however, there are many wonderful books in our shop that can help! Some of our favorites include: Rosemary Gladstar's Herbs for Common Ailments and Mrs. Grieve's A Modern Herbal, and Thomas Easley & Steven Horne's A Modern Herbal Dispensatory. Please note that this is only a partial list, and many other herbs can also be incorporated into salves. Happy salve making! 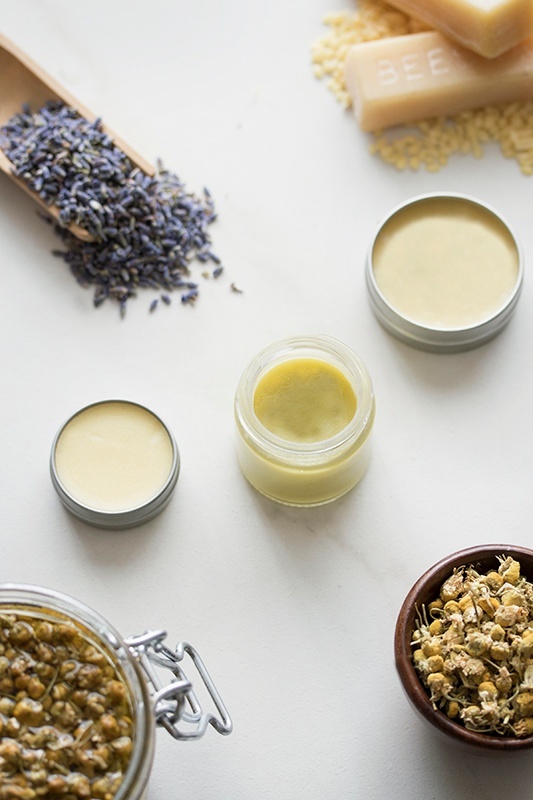 Want to make a vegan salve? 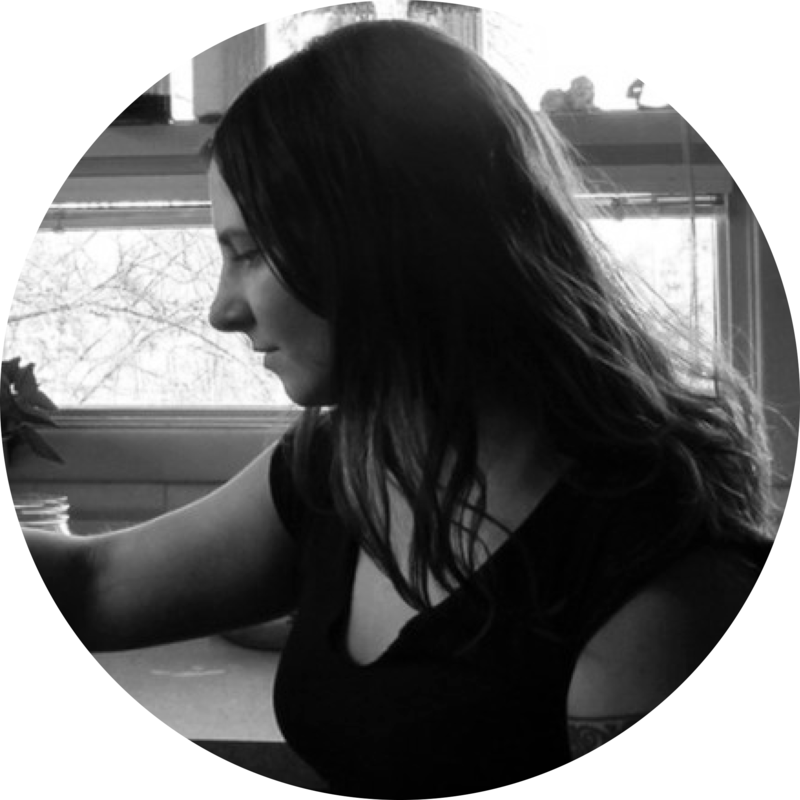 Make a Vegan Salve with Carnauba Wax! These statements have not been evaluated by the Food and Drug Administration. This information is not intended to diagnose, treat, cure, or prevent any disease. For educational purposes only.